A balanced and nutritious diet is important towards maintaining or improving a healthy lifestyle. Although many people make great use of this knowledge by staying physically active or eating good quality foods, it can often be difficult for these same practices to be passed on to children, especially when it comes to kids eating vegetables. Vegetables are an important part of our diet but, many parents often face the struggle of making sure their children are eating them. 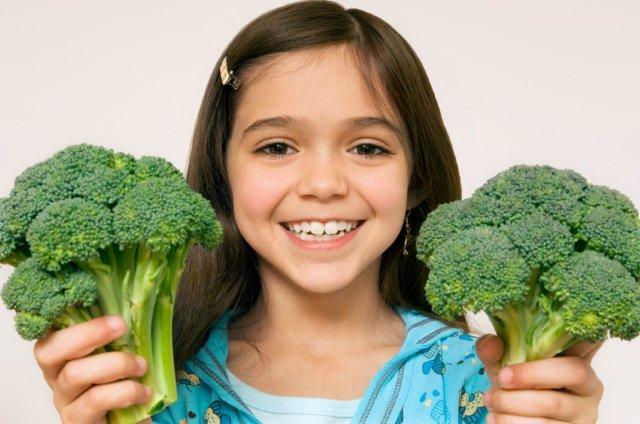 While many growing children can be picky eaters when it comes to eating their greens, there’s a few tips and tricks you can try to get your kids to start eating healthier. First of all, when introducing kids to eating vegetables, it’s important to focus on enhancing their taste. For children, the flavor of vegetables can be something different to get into. For the mean time, adding Hollandaise sauce to any type of vegetable such as cauliflower, broccoli and asparagus can complement the flavor well. Cheese sauce also works well with vegetables and its easy to make your own low-fat versions of either and still offer a tasty but healthier alternative. When cooking vegetables for children, try cooking these as to soften up the texture a bit more than usual. If you’re ever in doubt whether your children will like the taste and texture of one particular vegetable, you can always sauté these in a bit of butter, plenty of lemon, garlic powder, and/or chicken broth. After all, for children who normally aren’t accustomed to eating their vegetables, these can often appear bland in taste. Enhancing the flavor of vegetables can be a good way of ensuring your children will learn to love them. When trying to get children to eat raw vegetables, low fat ranch dip can help make these taste good for them. Once your kids begin liking to eat their vegetables, you can gradually remove the sauces and dips. Chances are, your children won’t even know the difference. Also, for many children who don’t enjoy eating their vegetables, the issue can be they’re having difficulty adjusting to the different textures of vegetables. In these instances, it’s recommended to cut and seed vegetables in order for the texture of the vegetable to be more consistent, such as removing cucumber seeds. In case of really picky eaters, another thing you can try out is to puree vegetables. You can blend or puree all sorts of different vegetables together and add them into a spaghetti sauce with butter. Kids will also often eat a variety of vegetables that have been pureed into a smooth soup mixed with cream. Vegetables are an essential part of our diets, especially for the growing body of children and, by helping our kids eat their vegetables in all sorts of delicious ways, we help ensure they will grow to become healthy and continue their healthy eating habits.